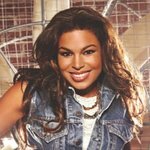 Jordin Sparks has announced The 2nd Annual Jordin Sparks Experience hosted by Roy’s Hawaiian Fusion Cuisine. Sparks will join internationally acclaimed chef and James Beard Award Winner Roy Yamaguchi, founder of Roy’s Hawaiian Fusion Cuisine for Up Close and Per-sonal at Roy’s restaurant (4342 W. Boy Scout Boulevard, across from International Plaza) in sunny Tampa, Florida on January 27. This event is a sophisticated evening focused on Roy’s signature Hawaiian Fusion Cuisine, “aloha” service and atmosphere, and the Up Close and Personal vibe of an intimate performance by the Season Six winner of American Idol and International recording superstar. Fresh off of an American Music Award for “Favorite Adult Contemporary Artist”, a People’s Choice Award for “Best Combined Forces” collaboration with mega-star, Chris Brown for the Platinum single, “No Air”, and a Grammy nomination, Sparks is teaming up with Roy for this star studded event with an enviable guest list of the hottest names in Sports, Entertainment, Politics, and Business. Guests will have special access to photo opportunities, autographs, and meet-and-greets with Jordin as well as a private viewing of “Up Close and Personal with Jordin Sparks”, a one of a kind, intimate performance. Capping off the festivities will be a LIVE auction featuring Roy and Jordin for a private “in home” dinner party for 12 with the pair as your chefs and dinner guests! Tickets go on sale Tuesday, January 13, 2009. Ticket prices are $250 and $400 VIP (limited to the first 100 sold). All VIP ticket holders will have access to private meet-and-greet with Jordin and Roy. To purchase tickets go to www.alleventsandtickets.com and for more information about this event visit www.sparkscharities.org . Sponsorship opportunities are available. All proceeds from this event will go to support Sparks Charities, Uplift Excellence Founda-tion, and 1voice. The following night, January 28, will see Sparks – along with special guests, including fellow Season Six American Idol fan-favorite Chris Richardson, singer/song writer Christa Black, the Grace Family Church “iO Band”, and others – for The 2nd Annual Jordin Sparks Charity Concert at Grace Fam-ily Church (5101 Van Dyke Road) in Lutz, Florida. This, the second event of The 2nd Annual Jordin Sparks Super Bowl Experience, is sure to please all. With an impressive lineup of some of music’s most talented up and coming artists and the powerful voice of Jordin Sparks, fans young and old will enjoy an unforgettable evening. Jordin will perform your favorites from her self- titled debut album, some of your fa-vorites from her American Idol Season Six performances, and some of her personal favorites. Tickets go on sale Tuesday, January 13, 2009. Ticket prices are $35 and $45 VIP Floor Seats. Seats are limited. To purchase tickets go to www.alleventsandtickets.com and for more information about this event visit www.sparkscharities.org . Sponsorship and vendor opportunities are available. All proceeds from this event will go to support Sparks Charities, Uplift Excellence Foundation, and 1voice. Sparks Charities is part of the New Horizons Foundation, Colorado Springs, Colorado, and was formed to make a difference through Jordin Sparks’ philanthropic endeavors.